All Pan Atlantic Foundation host families are carefully selected and students are placed all over the country. 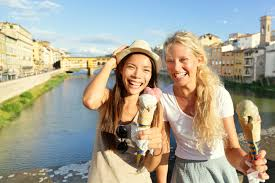 As a study abroad student in Italy, you will quickly realize that family is very important for Italians. You may even live with a big family including grandparents, parents and children in the household. They are excited to show you the Italian way of living and are often talkative and open. You will get to know the culture, traditions and language from an insider’s point of view. Maybe around the pasta filled dinner table! ​Pan Atlantic Foundation will connect you with your host family prior to departing the U.S. so you’ll have a chance to “meet” before arriving in your new host country. ​Soccer is very popular around the country; even if you don’t play, watching a game is a very cool experience. Other popular activities include: volleyball, cycling, dancing, tennis, fencing and basketball. ​Not into sports? There is plenty to do outside the arena! Italians love socializing, and some days you may find yourself chatting the afternoon away at a café where you can find the perfect cappuccino or macchiato. Or exploring the latest fashion in unique boutiques or shopping malls in your area. Don’t forget the art! 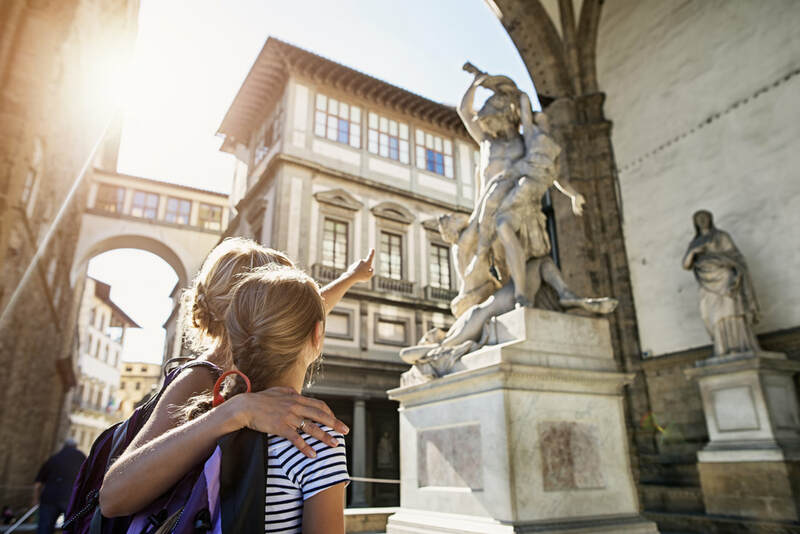 Italy is one of the world’s top art destinations where you can see the works of Italian artists such as: Michelangelo, Botticelli, Donatello, Raphael and Leonardo da Vinci. Works by these famous masters are displayed in galleries, museums and public and religious buildings across the country. High school in Italy includes grades 9 to 13 and is called Scuola Secondaria Superiore. Most exchange students are placed in year 11 or 12, usually in a class with focus on either science or language. Joining an Italian class on these levels is very rewarding. Grab the chance to try high school the Italian way! The Italian school atmosphere is usually rather strict, but there are no school uniforms. Your teachers will expect you to focus on your learning while you’re in class. There are no language requirements to be accepted. However, we do recommend that you have some basic knowledge of the language, in order to follow what the teachers are saying. Everything will be in Italian and before you know it, you will probably be thinking in Italian too. Can you imagine? The school day typically starts at 8:00 and ends around 1:00pm with classes running from Monday to Saturday. Many Italian high school students will probably participate in sports of some kind at a private club as most high schools don’t have sports teams like in America.